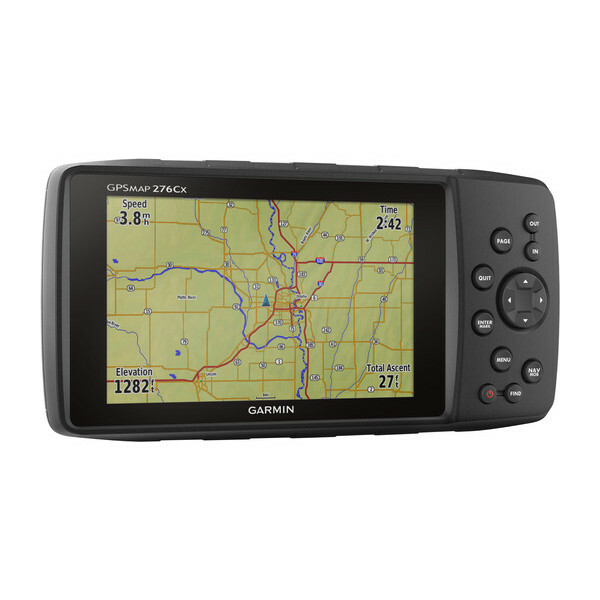 The Garmin GPSMAP 276Cx features a 5-inch sunlight readable screen and has been designed as a multi-purpose GPS naviagtion device for use in-car, on a motorbike, handheld and on a boat or yacht. The Garmin GPSMAP 276Cx can be connected through Bluetooth, ANT+ and WiFi and features GPS and GLONASS technology, along with a Barometric Altimeter and 3D Compass. 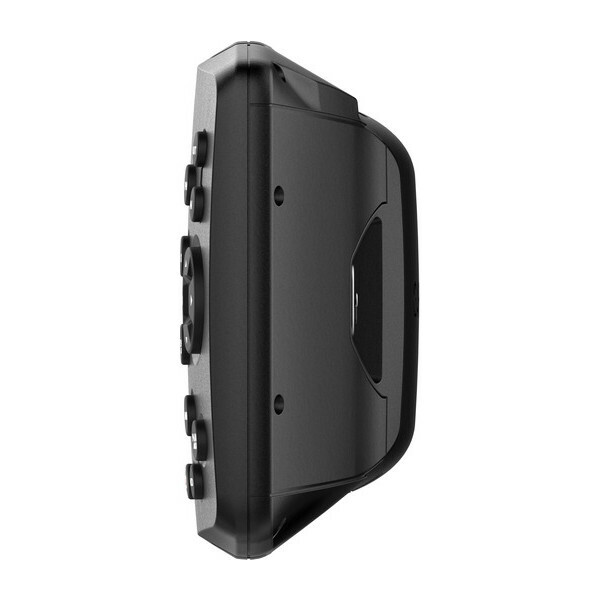 For example the Bluetooth connection provides TTS voice guidance to the helmet for motorcycle riders. 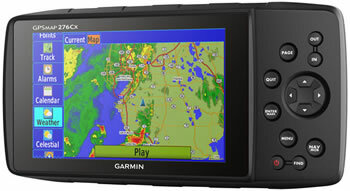 The Garmin GPSMAP 276Cx comes with preloaded recreational map of Europe and 1 year free BirdsEye Satellite subscription. A built-in microSD Card slot enables you to add additional maps for use on the road, off road and on the water. Please note: The GPSMAP 276Cx will work on a boat but it is not a chartplotter and cannot be connected to a transducer and therefore does not provide water depth information. 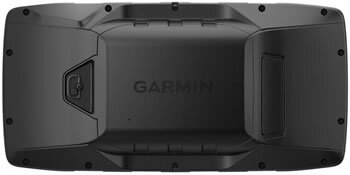 Released in 2017 the Garmin GPSMAP 276Cx descends from the popular and long discontinued Garmin GPSMAP 276C and is very similar to the Garmin nuvi 550 model, again another discontinued Garmin model. What connects it to the GPSMAP 276C and nuvi 550? Well, unlike all other Garmin devices the GPSMAP 276Cx can't be pigeon holed to fit into one department of our website, e.g. in car, motorbike, marine, handheld. That's because the GPSMAP 276Cx crosses and covers them all! The GPSMAP 276Cx is as much at home on land as it is out at sea. 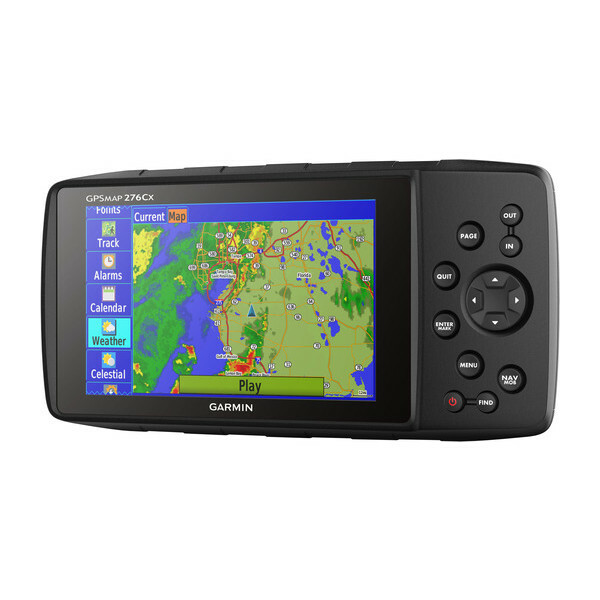 The screen on the GPSMAP 276Cx is 5-inch and there are various mounting options available for different vehicles both on land and on the water. The device is also waterproof to IPX7 standards. A barometric altimeter and 3D compass is also included within the device. 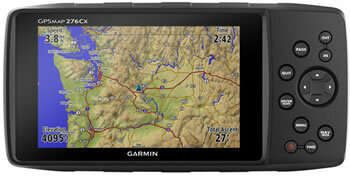 The Garmin GPSMAP 276Cx includes GPS and GLONASS technology for excellent satellite signal coverage. Mapping included with GPSMAP includes preloaded recreational map of Europe, worldwide basemap and 1 year free BirdsEye Satellite Subscription. 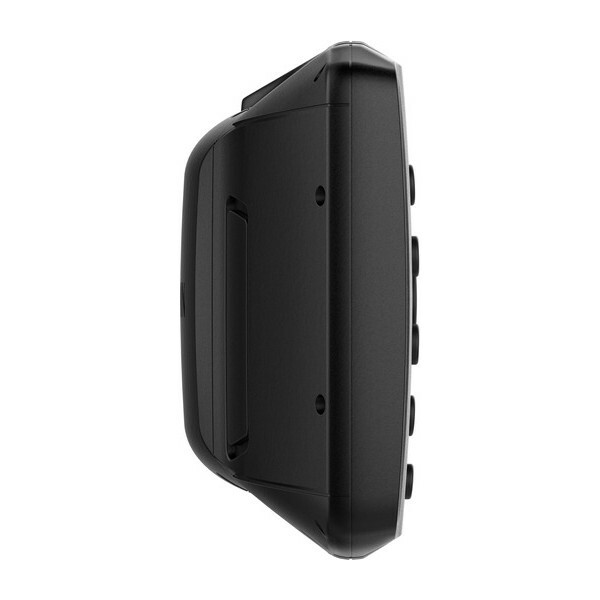 The Garmin GPSMAP device features 8GB internal memory. Take to the seas around the UK, Europe and further afield with the Garmin BlueChart g3 range of marine cartography chart SD/microSD cards. View compatible GPSMAP 276Cx Garmin BlueChart g3 titles. (Please note: the GPSMAP 276Cx cannot provide water-depth data). Available Garmin g3 BlueChart titles for UK waters include: Scotland, West Coast, English Channel and Irish Sea. Driving from A-B with the Garmin GPSMAP 276Cx is a doddle when you buy and use Garmin City Navigator range of street-level road maps. You can buy individual countries such as UK and Ireland, France and Benelux and Spain and Portugal or regions such as Europe or North America. 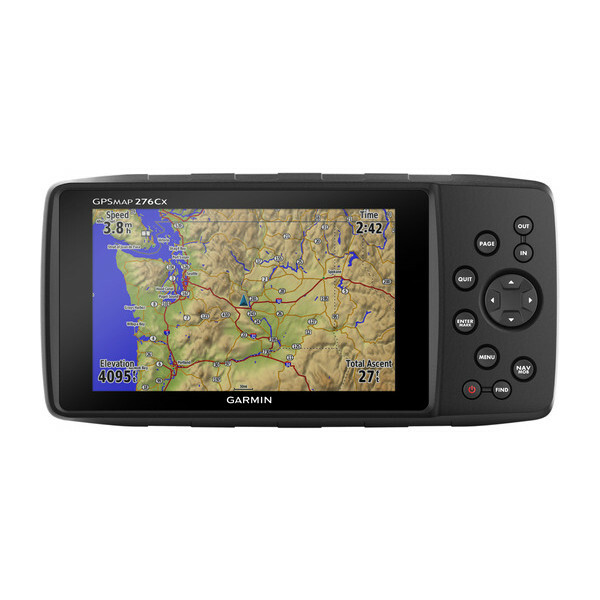 Hit the countryside of Great Britain with Ordnance Survey (OS) maps on the screen of the Garmin GPSMAP 276Cx. Maps are available to purchase in either 1:50k or 1:25k scale. Areas and regions covered include: all of Great Britain 1:50k, North Yorkshire Moors 1:25k, Snonwdonia 1:25k and North Highlands 1:25k among many others. You can use the GPSMAP 276Cx on the road in drive mode in a car. For use on a motorbike you can choose curvy roads as a preference to provide a more enjoyable route with winding roads. Bluetooth is also available and with a headset (sold separately) you can get TTS voice guidance direct to your motorcycle helmet. Connect to a smartphone to get Active Weather (animated weather radar). You can also receive smart notifications such as emails, SMS, social media updates or Live Track (share location with family and friends). ANT+ and WiFi are also available. Wirelessly connect to external sensors via ANT+ like tempe for external temperature readings. Use WiFi for over-the-air updates and Garmin Connect database syncs. For power you can connect the Garmin device to a power supply such as a cigarette lighter socket in a car. Alternatively there is an included NiNH power pack (included) which provides up to 17h of battery power. Alternatively you can use 3 AA batteries (sold separately) which will provide up to 9h of battery life. There is an optional external antenna for better satellite tracking (MCX connector in-built to the GPSMAP 276Cx). ‣Multi-purpose satnav for use on road (including motorcycles), on water and off road. 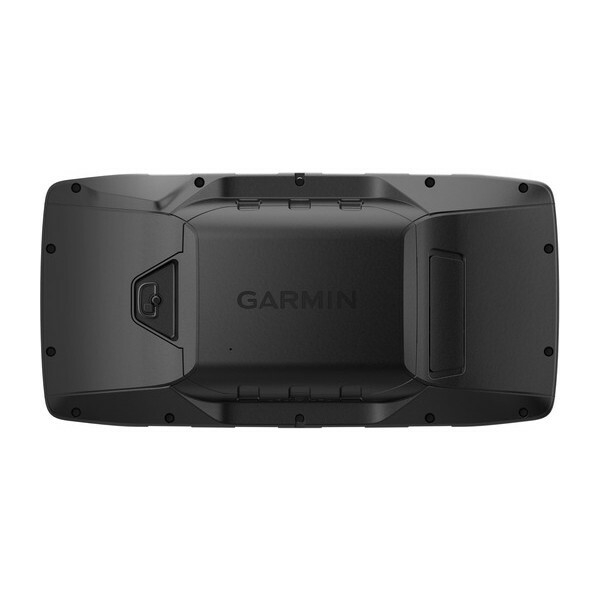 The Garmin GPSMAP 276Cx is a very versatile GPS device and as such it can be mounted in various ways to various vehicle types. For marine use, use the powered marine mount. For in car use, use the powered dashboard mount. For cycling use, use the non-powered handlbar mount. For motorbike, quad or other two, three or four wheeled all-terrain vehicles use the AMPS rugged mount. 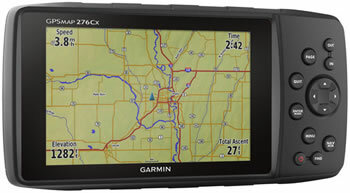 Looking for accessories and spares for the Garmin GPSMAP 276Cx? We sell the full range of genuine and compatible accessories for use with the GPSMAP 276Cx including a protective cover, anti-glare screen protectors, marine mount, automotive mount, handlebar mount and mains power charger. Do you have a question about the Garmin GPSMAP 276Cx? Submit your question via our contact page.